Please Feel Free To Get In Contact. We Will Get In Touch As Soon As Possible. Understanding how to use data from Google Analytics can be difficult particularly if you have a limited understanding of how to use the platform. We love to help our clients get a better understanding of how to use their data more effectively. Through our Google Analytics training program we can work together with you to come up with a customised plan covering everything from beginner all the way through to advanced analytics concepts across the Google Analytics Platform and its surrounding products. We offer on site face to face training or we can conduct training sessions right here in our offices in Martin Place, Sydney. All training sessions can be covered face to face on site on in our office depending. We can also conduct video calls with live screencasts. Depending on what you want to cover we can customise training packages or design the session around what you want to learn. The training sessions are based around you and your business, we will run through live examples of your reporting & tracking. 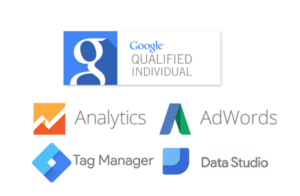 Our training can be tailored to you and your teams experience level or we can break the training down into various components to make sure you build your knowledge of Google Analytics and it’s surrounding products from a solid foundation. We can conduct on site 1 on 1 training, sessions for larger groups or provide remote video training. Below is an outline of some of the topics that can be covered in our training sessions.